December 1944. As German forces launch a massive surprise attack through the frozen Ardennes Forest, two snipers find themselves aiming for a rematch. Caje Cole is a backwoods hunter from the Appalachian Mountains of the American South, while Kurt Von Stenger is the deadly German "Ghost Sniper". 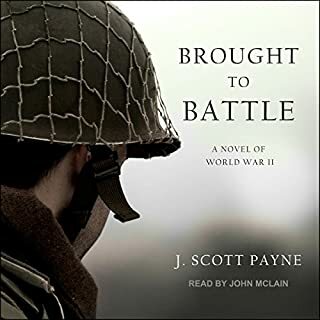 Having been in each other's crosshairs before, they fight a final duel during Germany's desperate attempt to turn the tide of war in what will come to be known as the Battle of the Bulge. Can the hunter defeat the marksman? Even in the midst of war, some battles are personal. 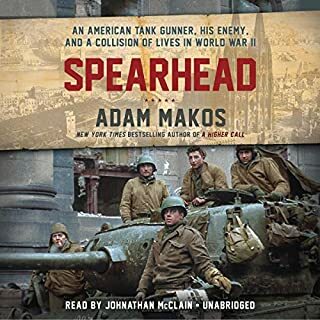 Fictionalized escapades of a sniper squad in WW2. 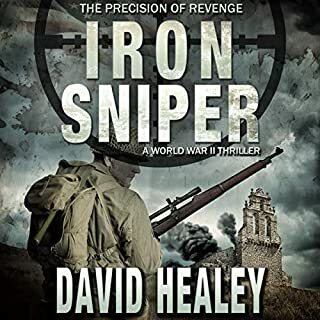 The author delivers you right into the trenches, trees, rubble that is the territory of the sniper. It is reminiscent of the famous duel between Russian and German snipers in Stalingrad that was fictionalized in war of the rays and the movie enemy’s the gates. This is the 2nd installment and was absolutely amazing. I was voluntarily provided this free review copy audiobook by the author, narrator, or publisher. 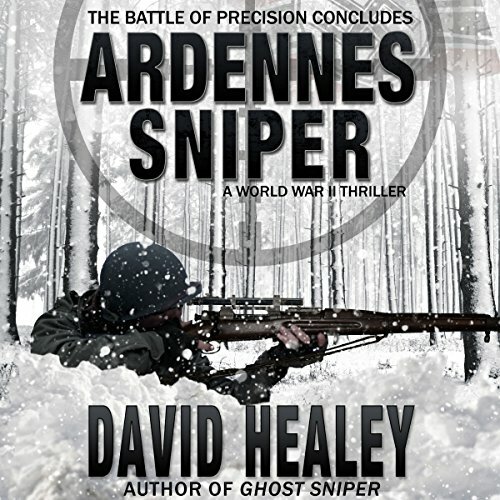 This is an thrilling story of WWII snipers during the fighting in the Ardennes. 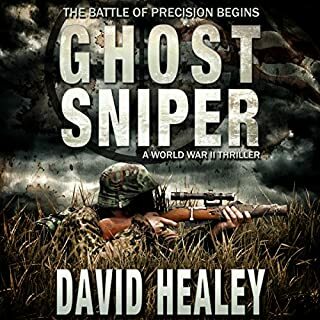 Cole is the talented hillbilly sniper that we first met in the book “Ghost Snipper,” he and his small band of fellow US snipers encounter Hitler’s last ditch effort to turn the war back to his favour through a sneak invasion. Along with Panzer tanks and soulless SS soldiers, he also once again crosses paths and bullets with his German nemesis, the sniper known as the Ghost. The story is told through the eyes of the two sniper protagonists and you can not help but feel some empathy for them both as they continue their cat and mouse game of death. 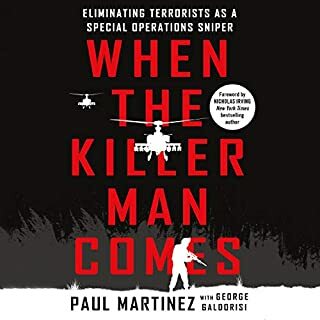 The narrator did a great job, giving the characters individual voices and personalities, he kept his intonation calm, mirroring the feel and mind of a sniper. The cruelty and mindless horror of war comes through clearly, as does the way the snipers distance their emotions and mind so they are able to kill over and over again. It is a enthralling, well written and narrated story that is scattered with historical facts, has great characters and leaves images in your mind that you will not soon forget. My Grandfather was a Canadian sniper in the second world war. Listening to this series, brought me great insight into the life of a sniper during the war. Scott Bennett is a talented narrator, who is able to do German and Russian accents among various others. His narration brings this story to life and the fear and emotions that the characters feel, the reader can feel as well. 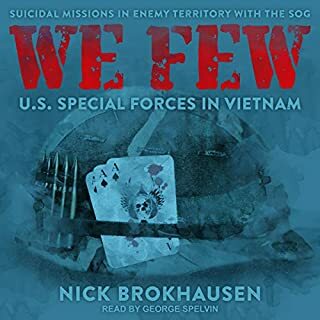 I listened to this story in chunks in the car, as the story is war and the death and destruction is heavy and emotional for the reader. The author assembled quite the amazing cast of characters especially the American side. The German sniper was a force to be extinguished but he was called the Ghost Sniper for a reason. Excellent suspense, some historical truths, a touch of romance and a captivating narration make this book and the series a hit for this reader. Just before Christmas, 1944; two snipers from opposite sides, both the best of their nations in what they do. Cole is moving towards the German border with the small group of snipers the U.S. army had established to protect them from similar activity by the opposition. Von Stringer had been seconded to a Panzer division, tasked by Hitler himself with retaking the area, driving back the invasion. Known as the Ghost, for his near invisibility, he and Cole had encountered each other before in France after the Normandy landings. Their cat and mouse chess game, which should have ended then with the death of one of them, can now begin again. Following on from the superb Ghost Sniper, the ongoing Second World War action continues to be viewed through the eyes of both protagonists. Whilst the tensions of the 'duel' are not as extreme in this book, David Healey again paints a ferocious picture of the mindless horror of war basing the story around actual historic events. What is, again, the major achievement of the book, however, is the empathy elicited for both snipers so that this reader was routing for both to survive. But one of them has to die. As in Ghost Sniper, narrator J.Scott Bennett gives an admirable performance, narrating with perfect clarity and understanding. His reading, is calm, never overemotional, which might have distracted from the text, and his voice, soft and warm and gently accented, is perfectly united to the writing. Each protagonist is also given a distinctive and appropriate voicing. The whole is a symbiotic blending with the story. This is an excellent book, well written and narrated, thrilling, thought provoking and with images of the war field unlikely to be forgotten. The characterisations, first established in Ghost, continue to make the characters real, three dimensional living people placed in the impossible actions of war. Recommended for everyone, especially those who still believe in the virtues of warfare.